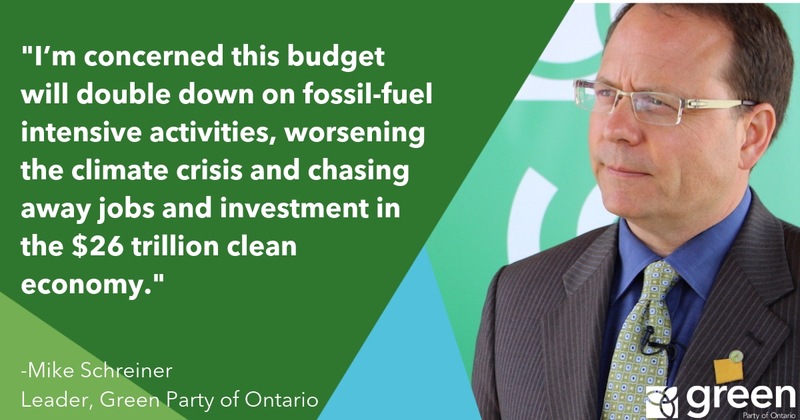 The Green Party of Ontario is urging the Ford government to adopt a climate-smart budget and dedicate real funding to make the transition to a low-carbon economy. On transportation, the province’s largest source of GHG pollution, the Green Party wants the province to make headway on converting the GO train system from diesel to electric, scale up EV infrastructure across the province, and dedicate 5% of transportation budget for walking, cycling and accessibility infrastructure. The Green Party is also calling for an energy retrofit fund to upgrade buildings, whose emissions continue to rise and account for 24% of Ontario’s carbon footprint.